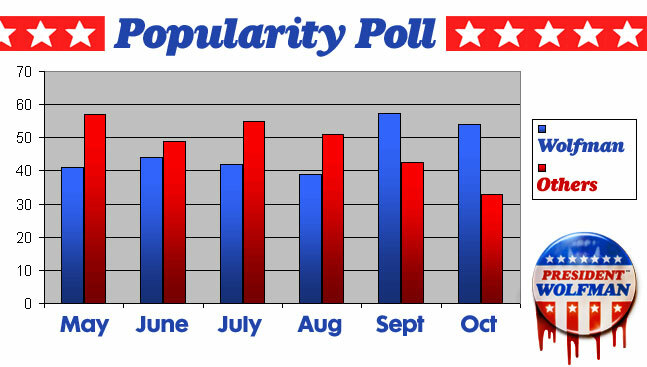 Well the polls were right – and we WON! You followed the killings on the campaign trail as President John Wolfman traveled from coast to coast. And sightings weren’t limited to the East coast. 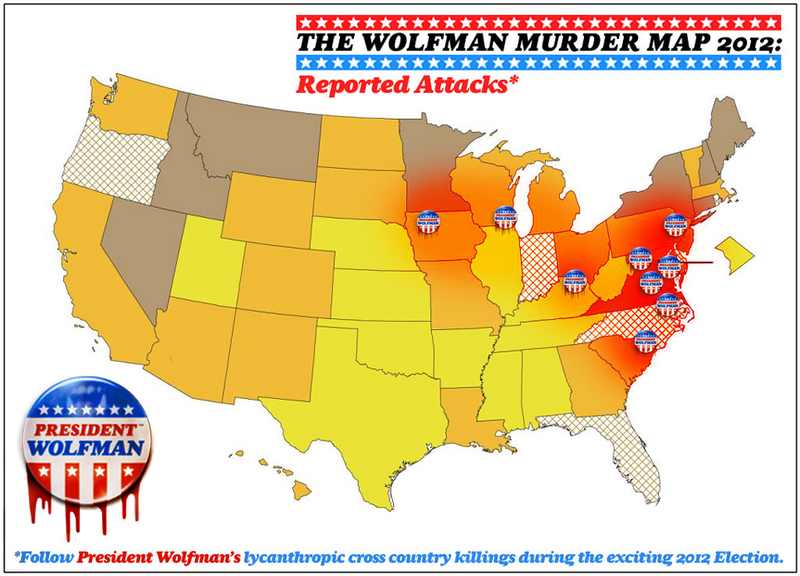 As the campaign headed West,so did the bloody trail of lycanthropic attacks and Presidential mayhem that followed. But please remember, even though President John Wolfman has been re-elected he is still a threat! In the event you see a tall man, dressed conservatively, carrying official Presidential documents, in an official Presidential brief-case, wearing a VOTE WOLFMAN button & answering to the name President John Wolfman but with the face of a werewolf, the authorities still advise absolute caution. This individual is dangerous. If he captures you he will eat you, then kill you – in that order. Do not attempt to confront him, or engage him in a political debate. Simply call Police services, the CIA, FBI or the SPCA as soon as possible. 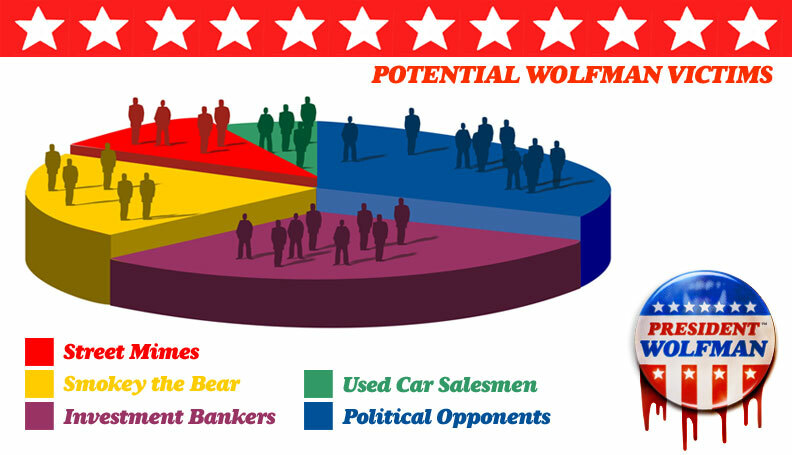 Thanks again to everyone for voting for PRESIDENT WOLFMAN. You know it made sense! And remember to go see the new semi-biographical movie “PRESIDENT WOLFMAN” from director MIKE DAVIS. It features some great tips on staying alive – if ever you meet a werewolf. So support this film. And don’t be a victim!